Of course, Adults know to take care of their teeth – brush and floss daily, stay away from overly-sugary foods and drinks, see our dentist regularly. It is vital to instill that same diligence in our kids. Sometimes this can be very difficult but as a parent you make the rules. You want your child to be cavity and pain free. Here are some tips on how to maintain healthy teeth for your kids. Supervise your child’s brushing until you’re confident that they can do it properly and safely on their own. One way to know if they are ready to be unsupervised it to think, do I trust them to wash and clean fine china porcelains plates. If you answered yes, then your child is probably good to go. If you would not trust them to clean a delicate dinner plate then your child should be supervised. 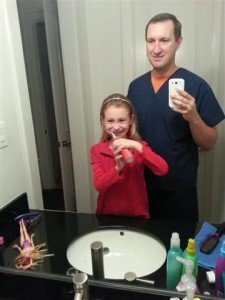 It is OK to double check and brush your child’s teeth after they brush. Make sure that they are brushing for at least two minutes, twice a day (morning and night). However, if you really want to set your child up for amazing life long dental health brushing three times a day is what you should strive for – after breakfast, after lunch (or right when they get home from school) and before bedtime. This is a habit that’s important to instill early on. Parents may think that it’s not necessary until the permanent teeth have come in, but flossing should actually begin once teeth start to touch, since that’s when just brushing will not be enough to get rid of all that food and plaque. Become Marine Corps Drill Instructor diligent about flossing at least once a day. Make your child learn that flossing regularly is part of their daily routine. This will lead to a flossing adult. Eat healthily and drink fluoridated water. Most cities fluoridate their public supply of water, so residents can receive their dose of fluoride easily. (If you live in a city where this is not the case, fluoride supplements are available.) Sugary snacks and drinks should be avoided; fruits and vegetables should be a big part of your child’s diet instead. Good snacks for healthy teeth include apples and carrots (for the vitamins and cleaning factor from the crunchiness) and cheese (for the calcium). You as parents control what food is in the pantry and refrigerator. Stop with the manual toothbrush. Let an electric toothbrush do all the work. An electric toothbrush can vibrate the tooth brush bristles SO much faster than you can. The bristles moving at super speeds means more brushstrokes and more strokes of the bristles removing plaque, bacteria and food particles. Take regular visits to the dentist. 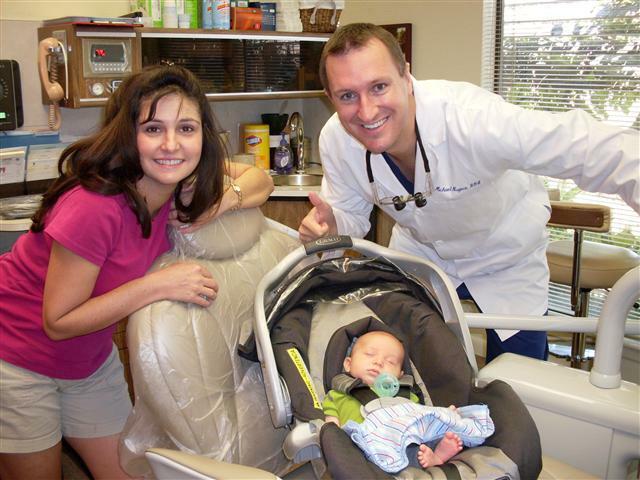 Your child’s first visit to the dentist should be when their first tooth appears, or within six months of that event (but no later than their first birthday). 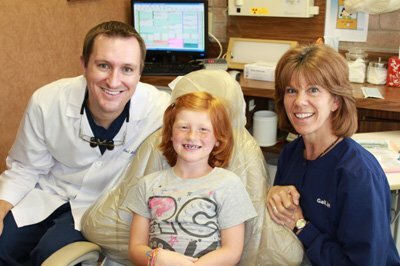 During this first visit, we obtain a dental history for your child; inspect for oral injuries, cavities or other problems; let you know of any risks in terms of dental health; clean your child’s teeth; and guide you on proper brushing habits and cavity prevention. Come see why so many Moms choose our office for their families. Visit us at 3421 Burke Rd Ste A, Pasadena, Texas 77504. Call us today at 713-941-8261. 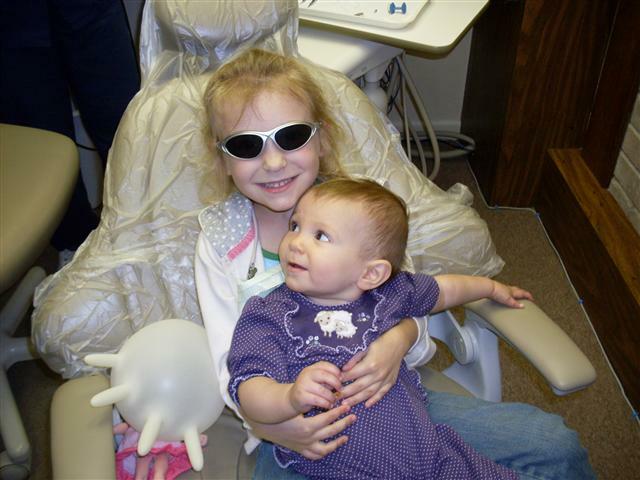 We make dentistry for kids fun.